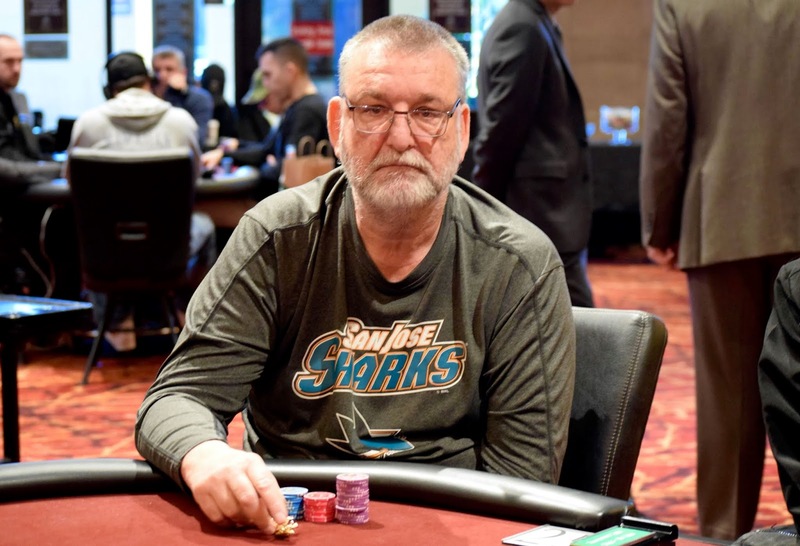 Axel Werner raises to 40,000 preflop on the button, and Yotam Shmuelov reraises to 100,000 on the small blind, leaving himself just a few thousand left behind. The flop is dealt [8s][4c][3c], Shmuelov gets the last of his chips into the middle, and Werner has him covered. 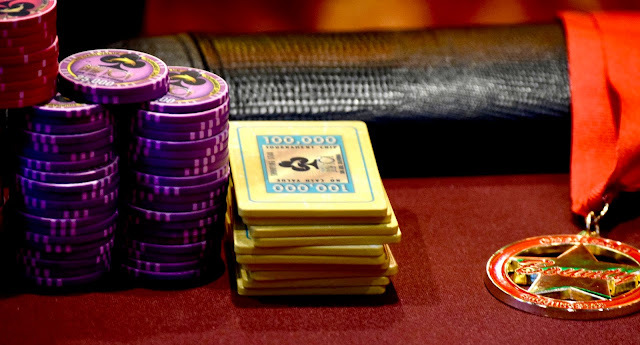 Here is a look at their cards. 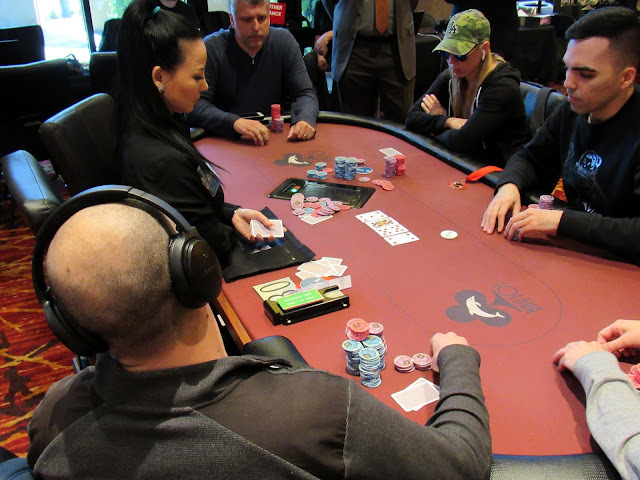 Shmuelov doubles up to survive with 246,000, and Werner holds 470,000 after the hand. 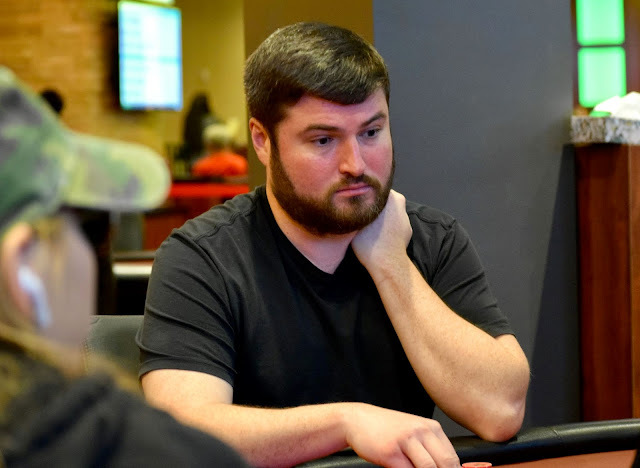 Casey McCarrel records his third Top-20 finish in a major in less than three weeks. McCarrel is eliminated in 17th place by Sandeep Pulusani, just a few minutes after completion of the three-table redraw. McCarrel was 16th at WPT LAPC, 15th at WPT Thunder Valley and 17th here, all for buy-ins of $5,000 or bigger, in the last 20 days. 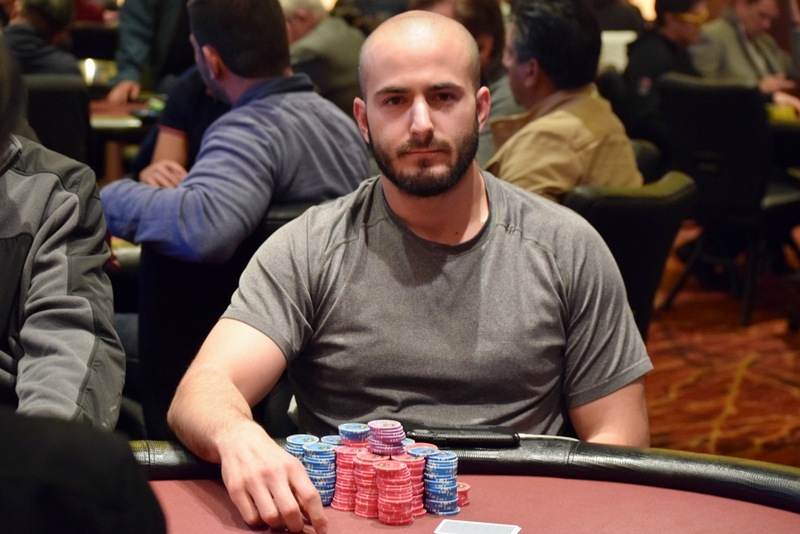 Amir Turkzadeh was all in holding [Ac][Kd] but was unlucky to run into the [As][Ad] of John Andress. The [Qs][Qh][5h] offered no help to Amir, and the [4s] turn meant he was drawing dead. 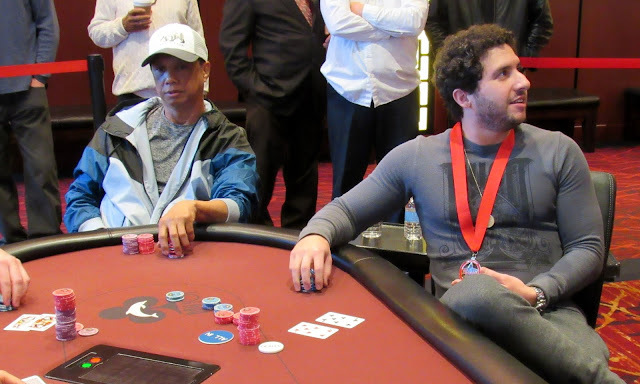 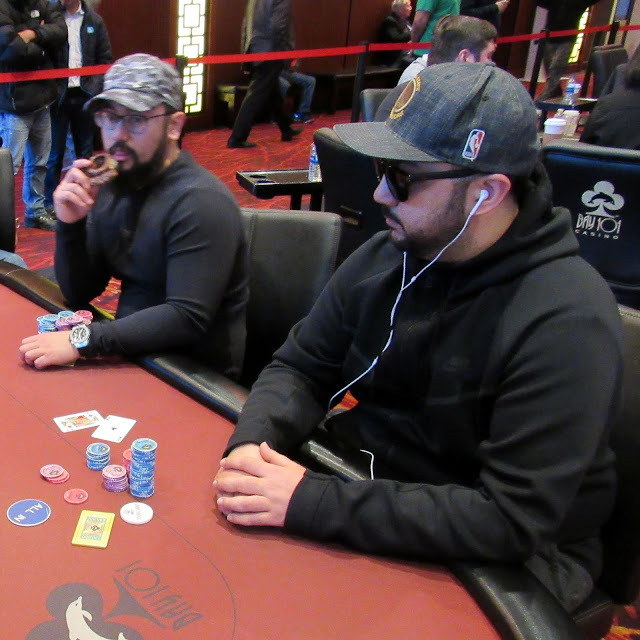 The meaningless [Td] hit the river to eliminate Amir in 20th place, good for $15,895. 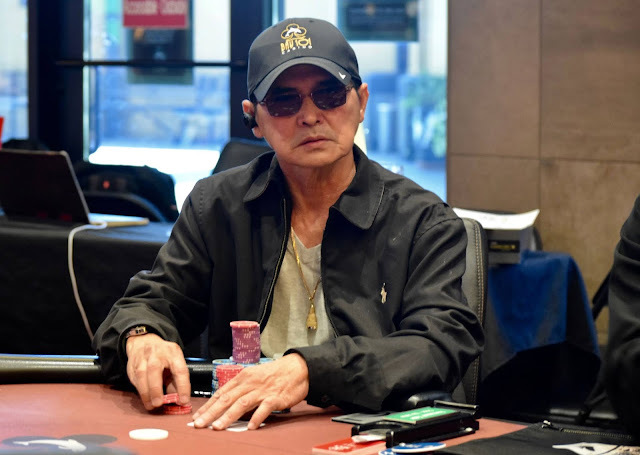 The blinds increase to 8,000-16,000 with a 16,000 big blind ante for the start of Level 21 on Day 3 at the Bay 101 Shooting Star Main Event. 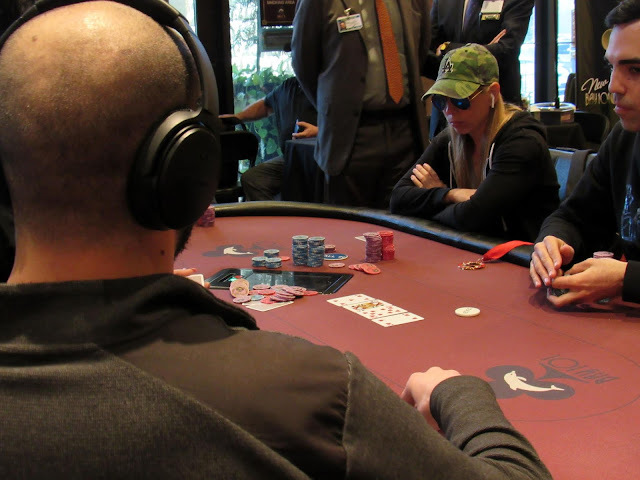 There are currently 21 players remaining in the hunt to advance to the final table on Friday. 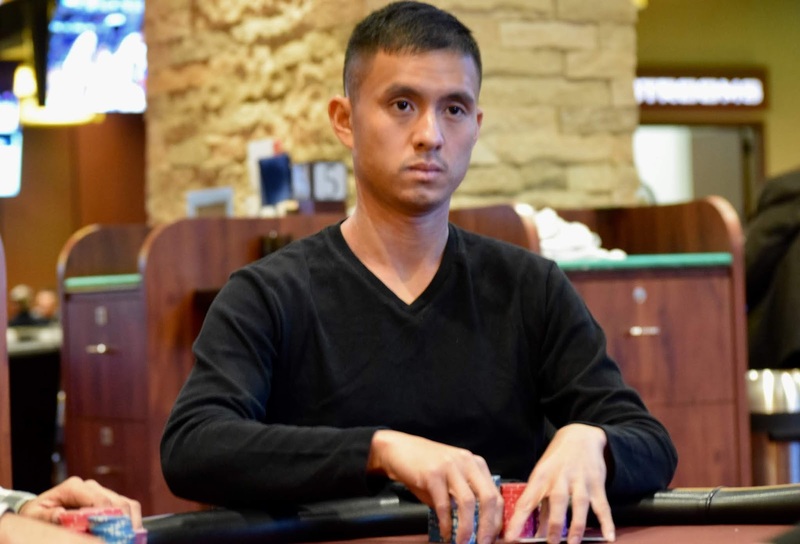 All in with similar stacks, Phuoc Nguyen holds [Ad][8d] against the [Td][Tc] of Ryan Tosoc. 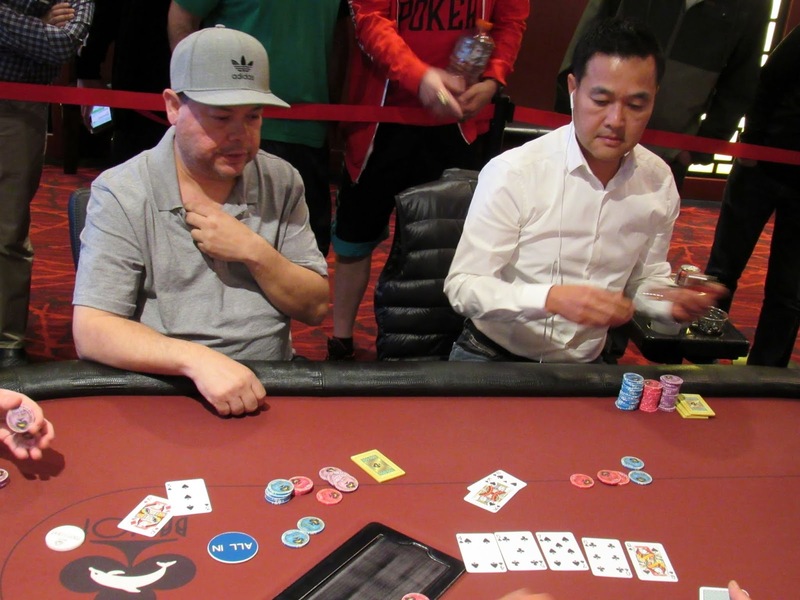 Phuoc picks up some outs on the [4c][8c][4s] flop, but the [9c] turn and [Qc] river fail to improve his hand. 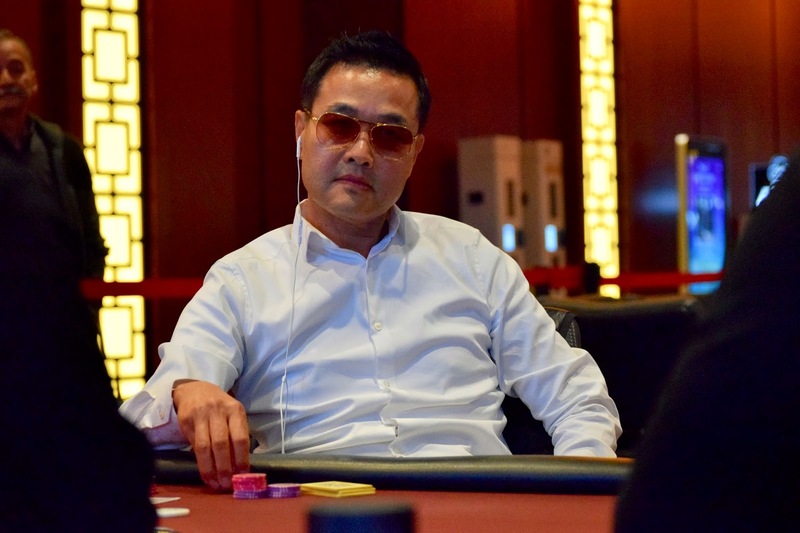 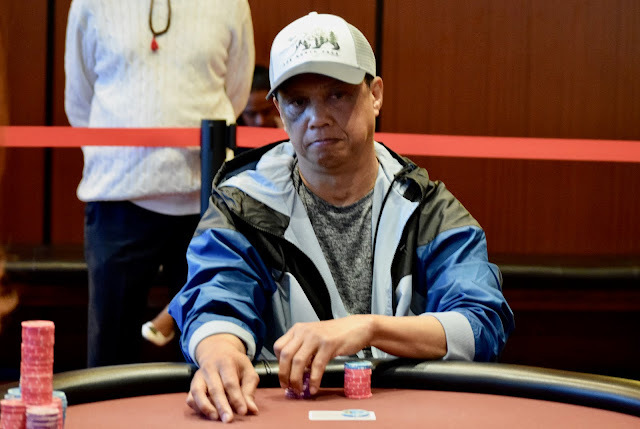 Ryan's flush will win the pot, and after counting down stacks, Phuoc has been eliminated in 23rd place. 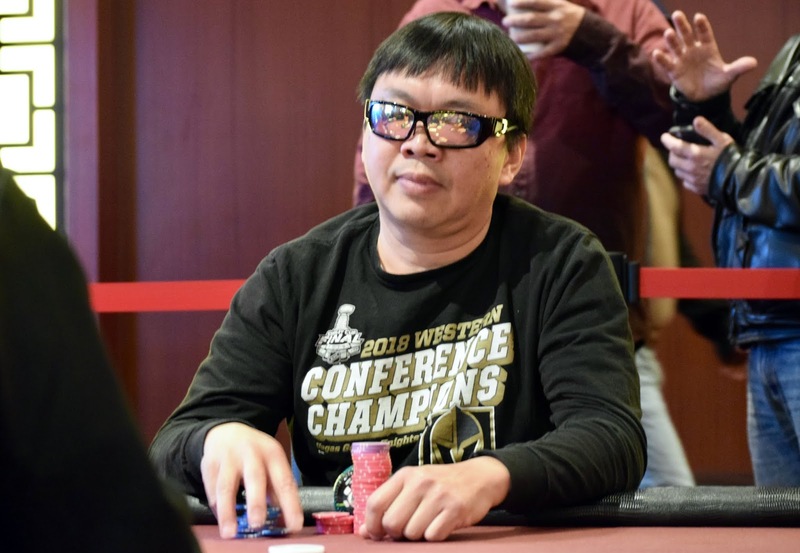 Phuoc will collect $15,895 for his efforts. 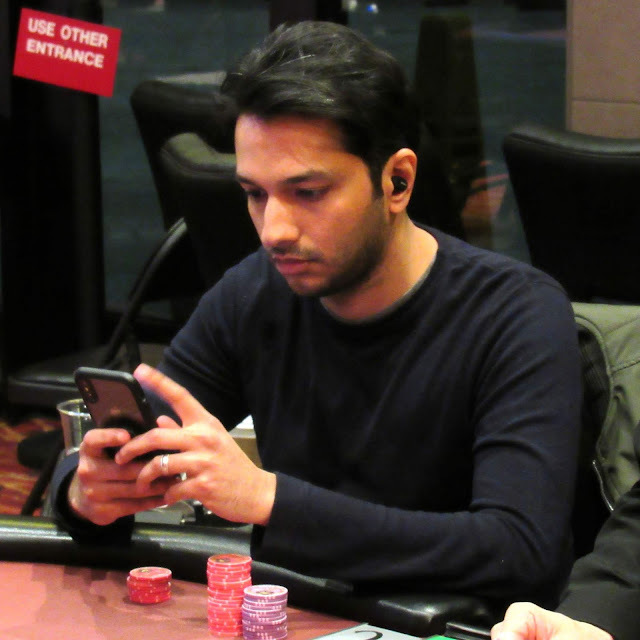 Shooting Star Mohsin Charania is all in preflop for 282,000, and Shooting Star Dan Shak has him covered. 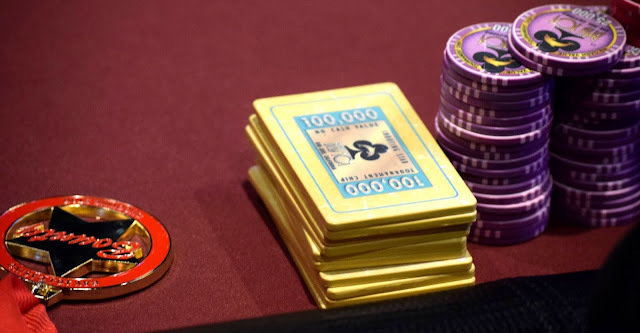 Here is a look at their cards. 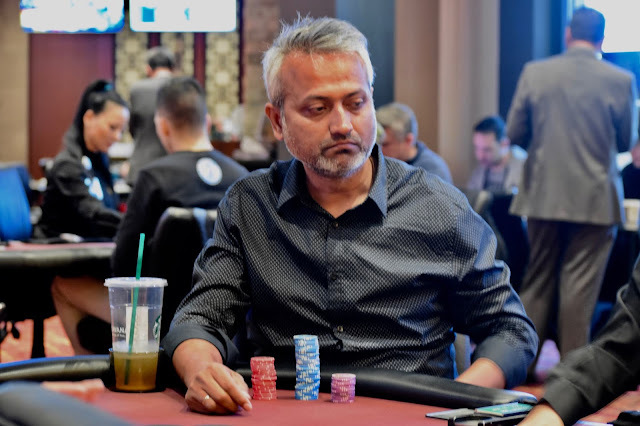 Charania is eliminated in 24th place, good for $15,895, and Shak stacks up 920,000. 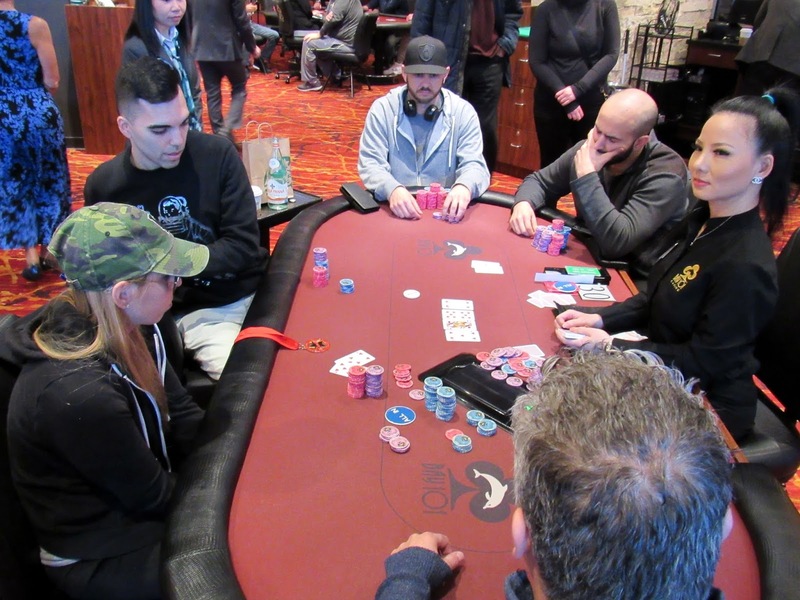 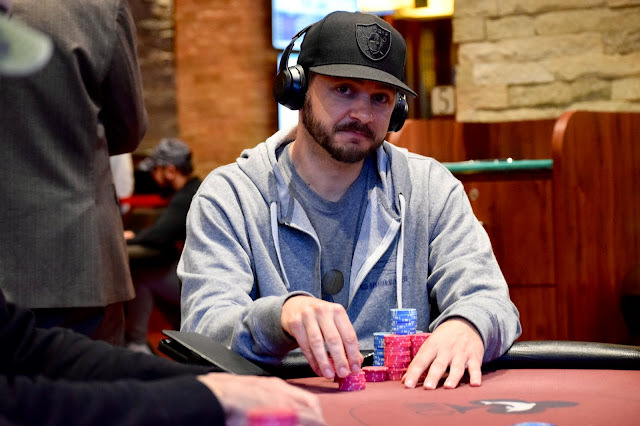 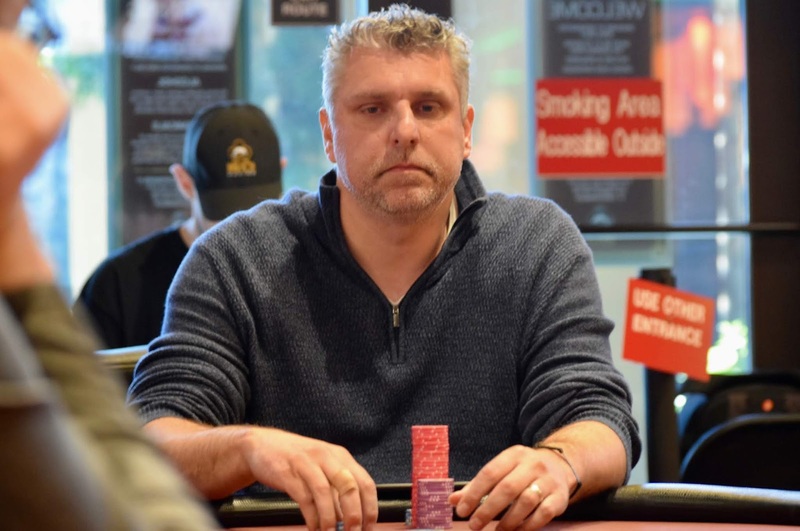 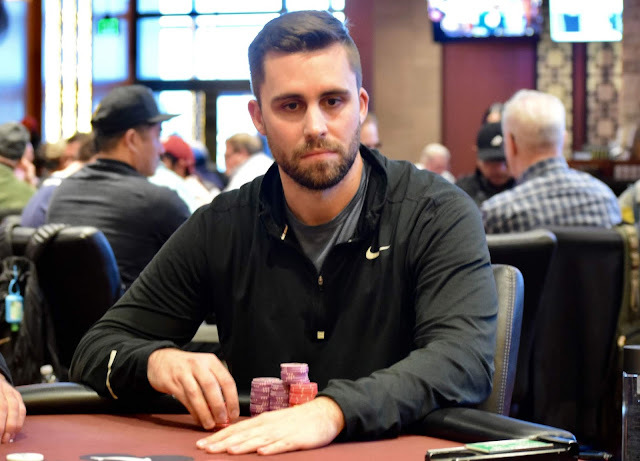 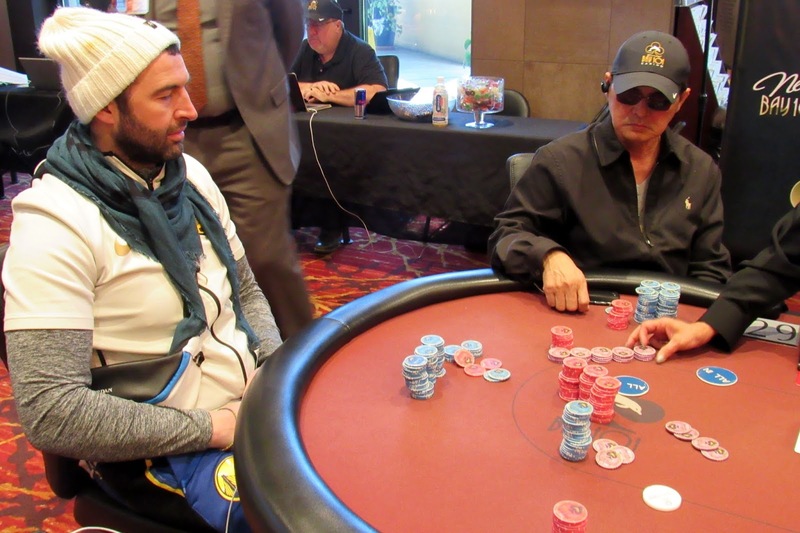 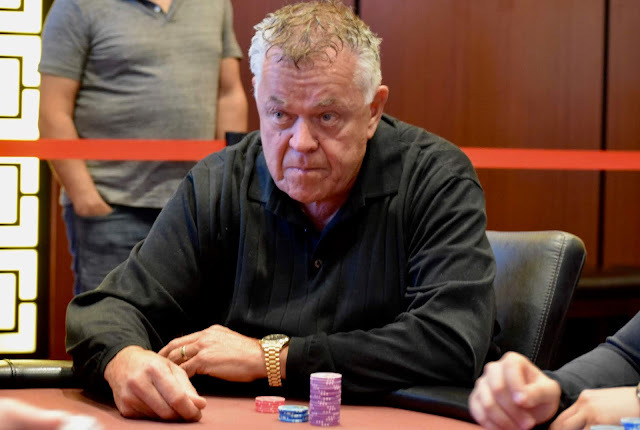 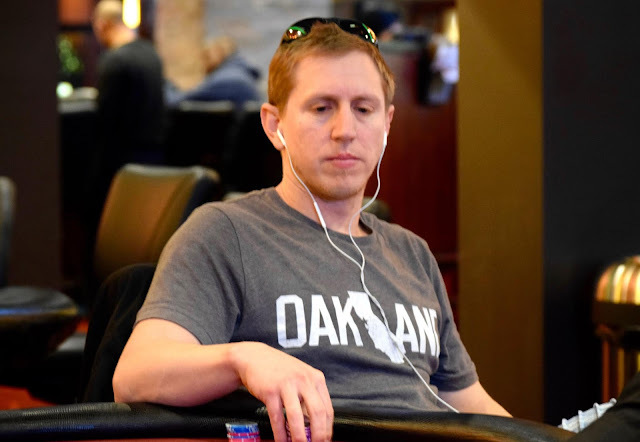 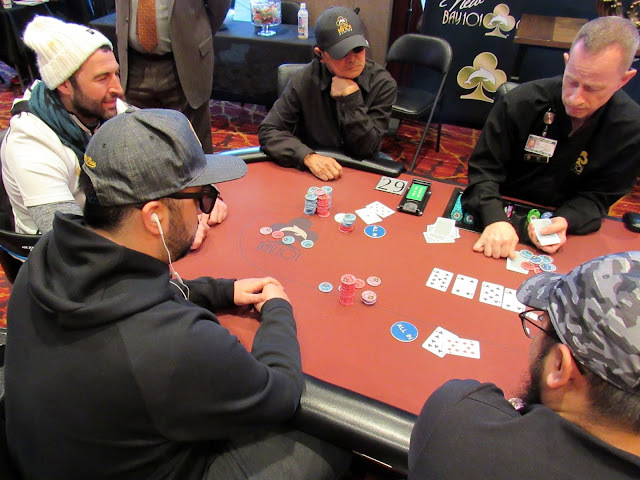 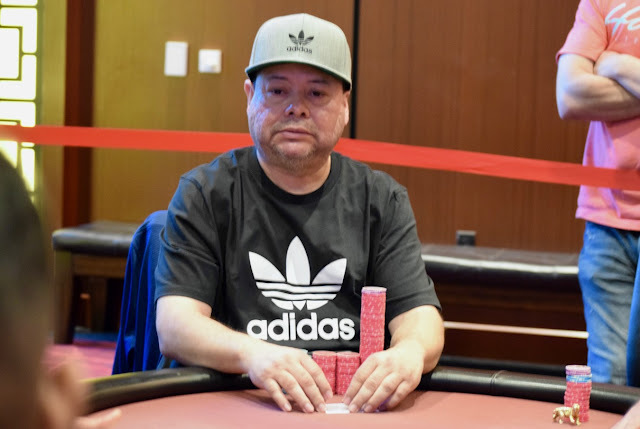 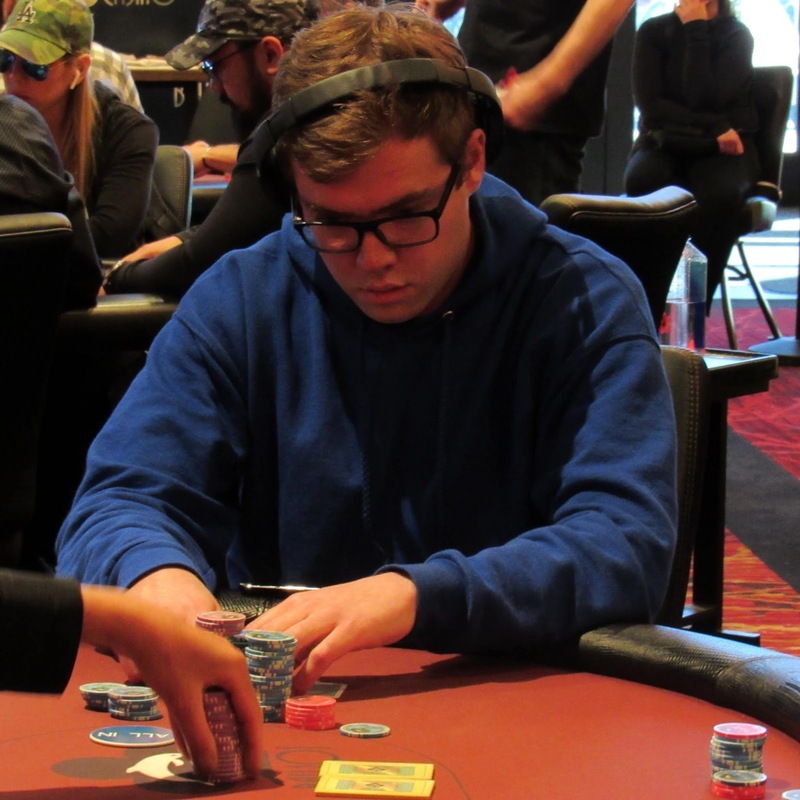 Hiroaki Harada raises to 28,000 preflop under the gun, Casey McCarrel calls on the cutoff, and Brian Altman (pictured) reraises all in on the button for 263,000. 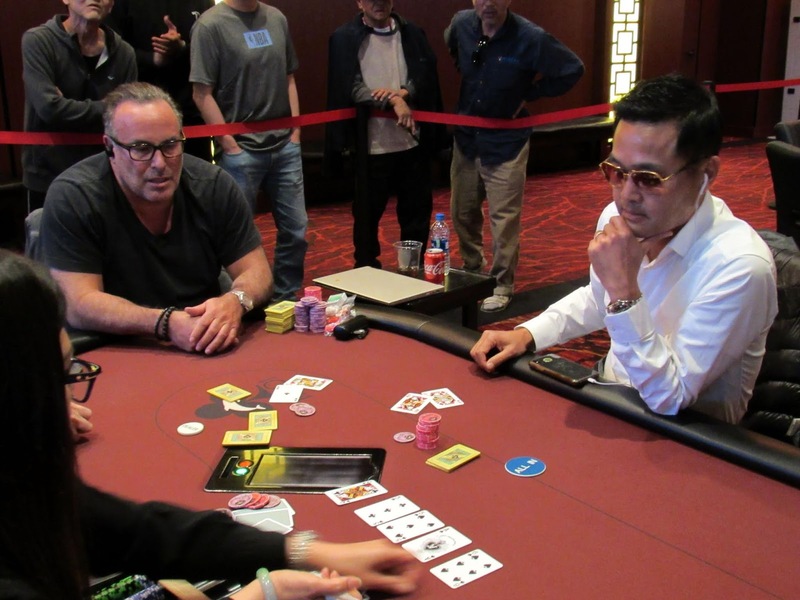 Harada calls, McCarrel reraises all in, and Harada calls all in for 582,000. 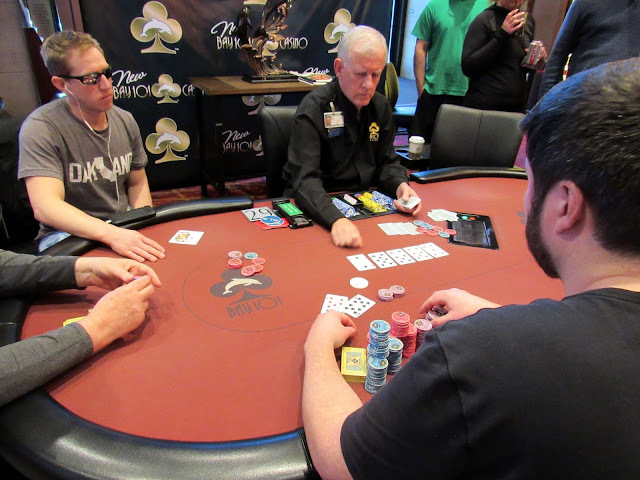 All three players then flip over their cards. 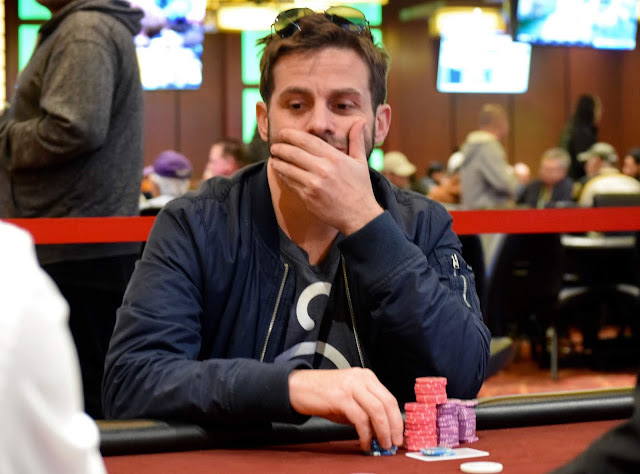 Altman is eliminated in 25th place, good for $13,865, Harada more than doubles up to 1,457,000, and McCarrel is at 343,000 after the hand. We arrived to table 29 to see a full board of [Td][Jc][7c][Ah][3c] and the cards [Kc][Qs] in front of Antonios Roungeris. 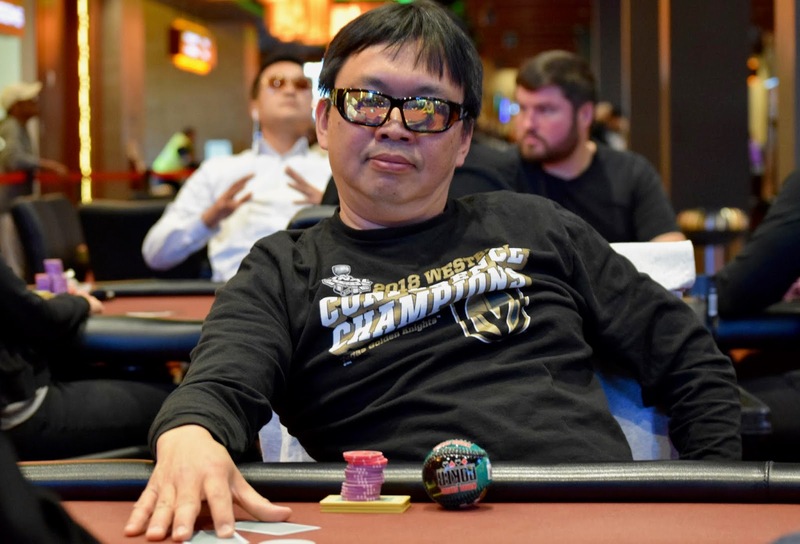 Phuoc Nguyen was paying off the all in of 517,000, and after the hand Antonios stacked up his chips and found himself sitting on over 1,350,000. 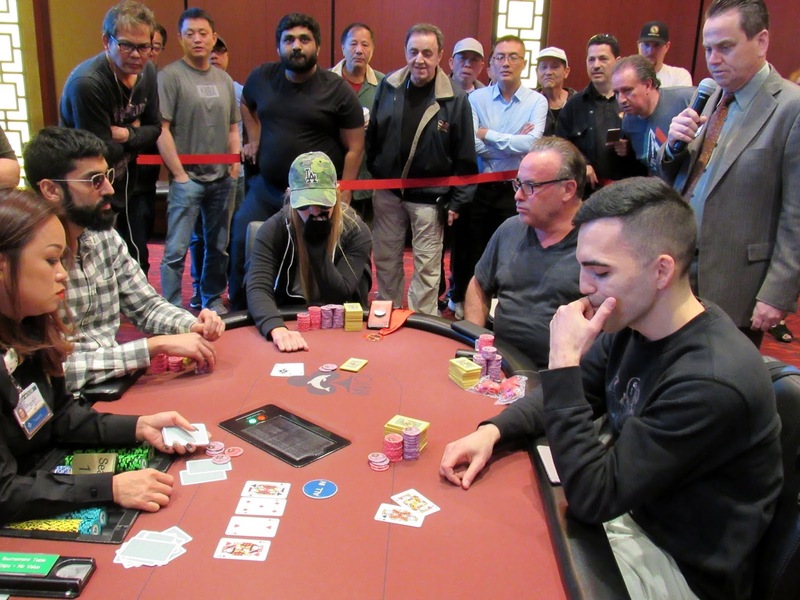 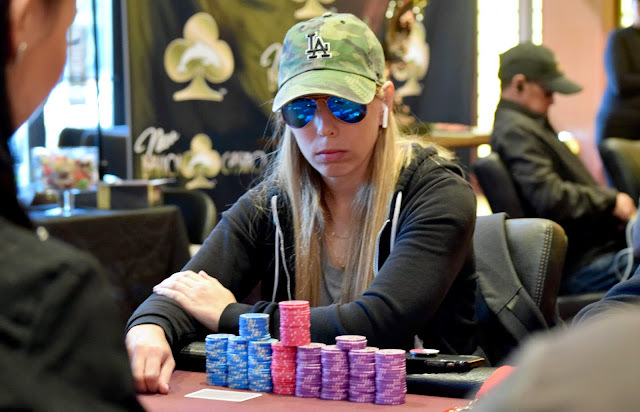 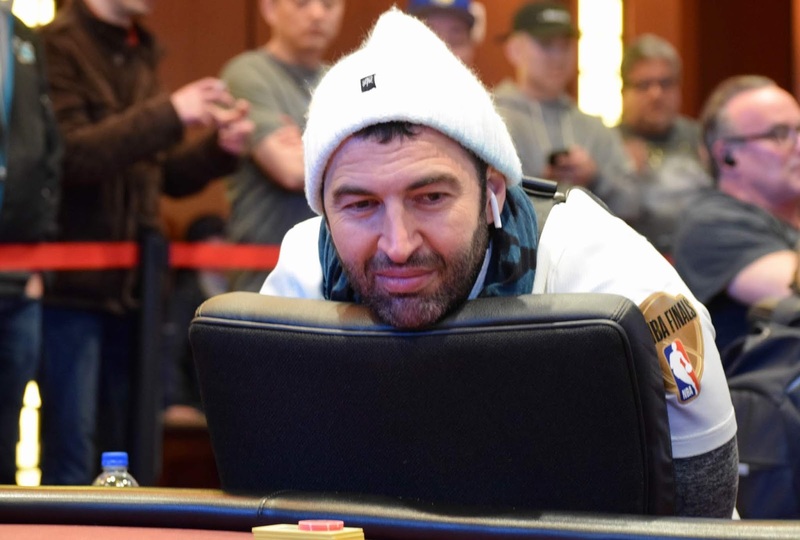 Guy Hadas raises to 27,000 preflop on the button, Shooting Star Loni Harwood reraises to 130,000 from the small blind, and Hiroaki Harada reraises all in for 264,000 from the big blind. 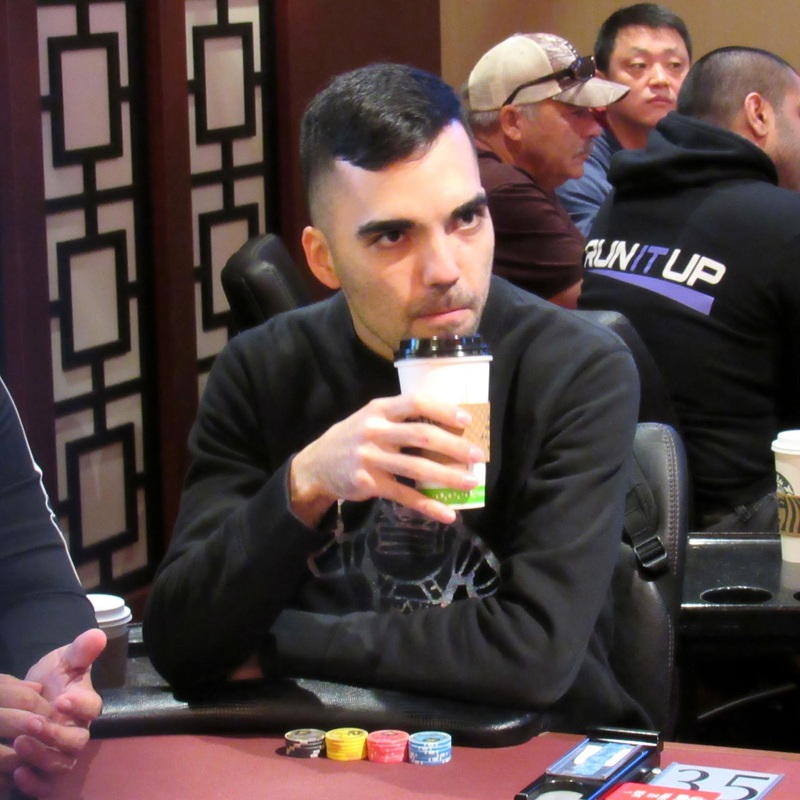 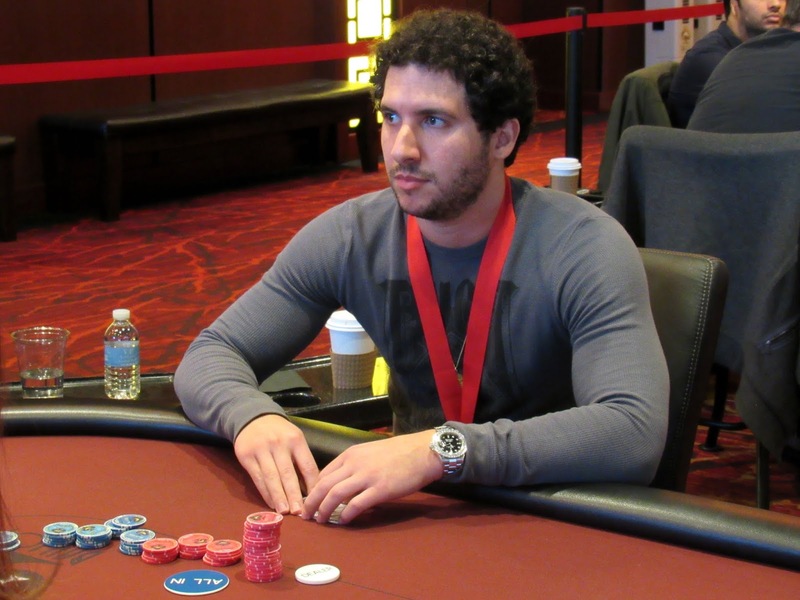 Hadas folds, Harwood calls, and the two remaining players reveal their cards. Harada doubles up to survive with 573,000, and Harwood holds 2.19 million after the hand. 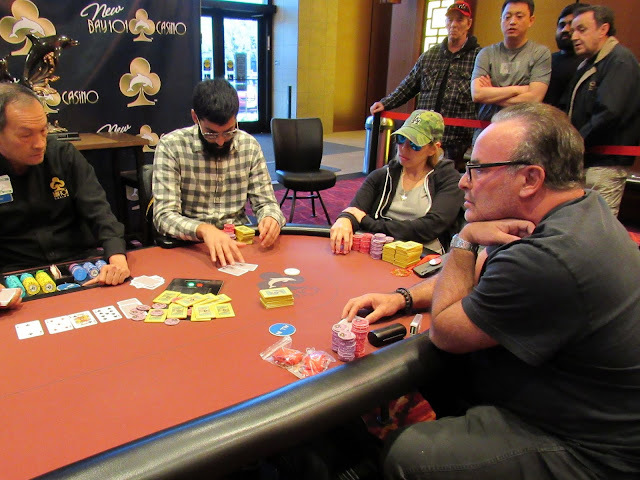 Loni had turned a flush but Brian still had outs with his ace high flush draw. 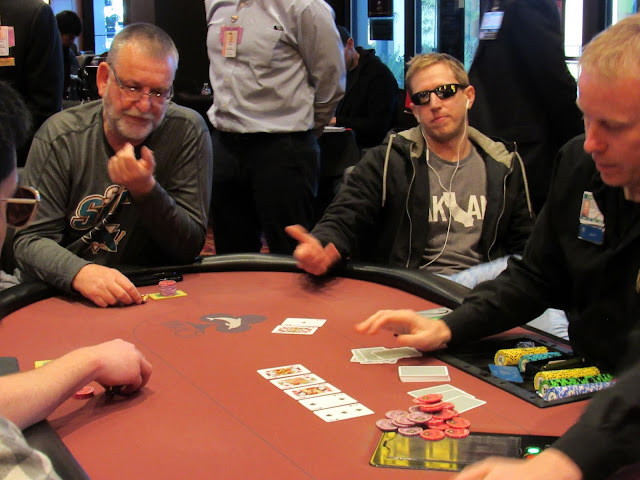 The river [7d] was red but unfortunately for Brian it was not a heart. 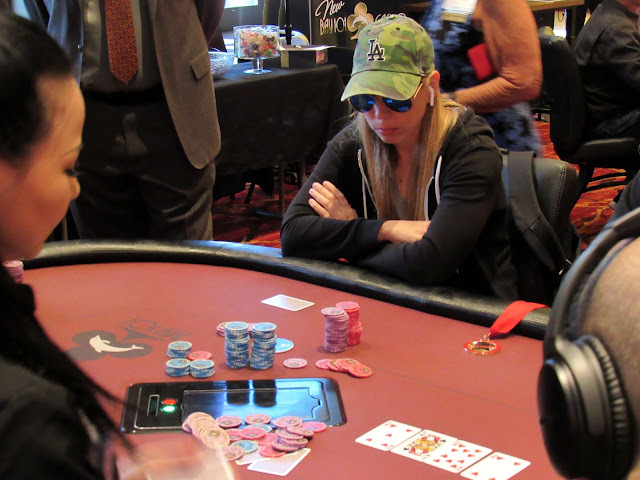 He shipped over a good portion of his stack to Loni who is now the tournament chip leader. All in preflop for his last 200,000, Shooting Star Joe Nguyen - runner-up in the 2013 Bay 101 Shooting Star - needs help with his [Ah][7s] against the [Jc][Js] of Ryan Tosoc. The board goes [2h][2s][3c][Qh][Tc] and Nguyen is out in 26th place, a $13,685 cash. 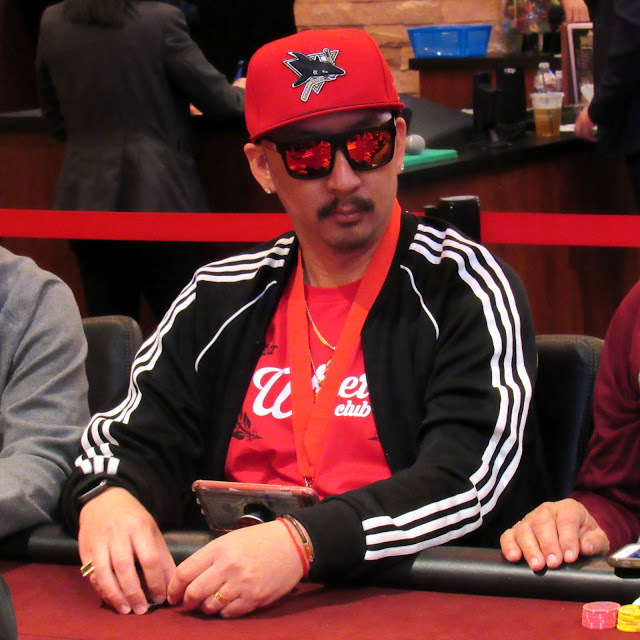 Shooting Star Eddy Sabat raises all in preflop for 198,000, and Mrityunjay Jha calls to cover him under the gun. 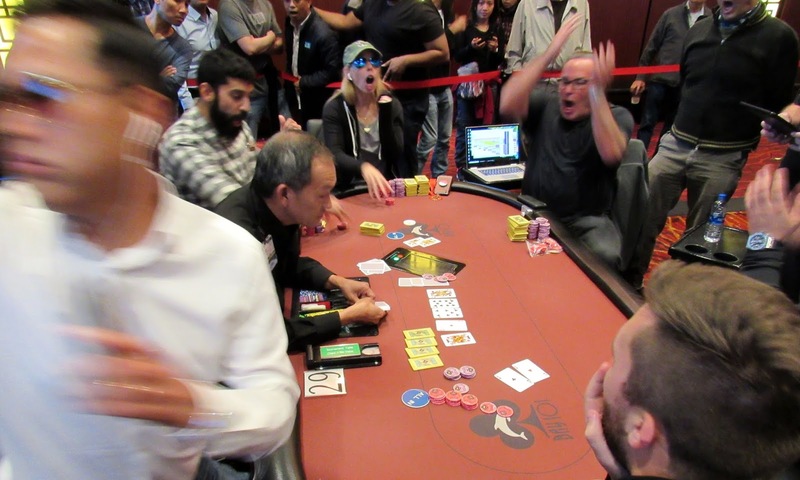 James Carroll then reraises enough to put Jha all in from the hijack, and Jha gets out of the way. 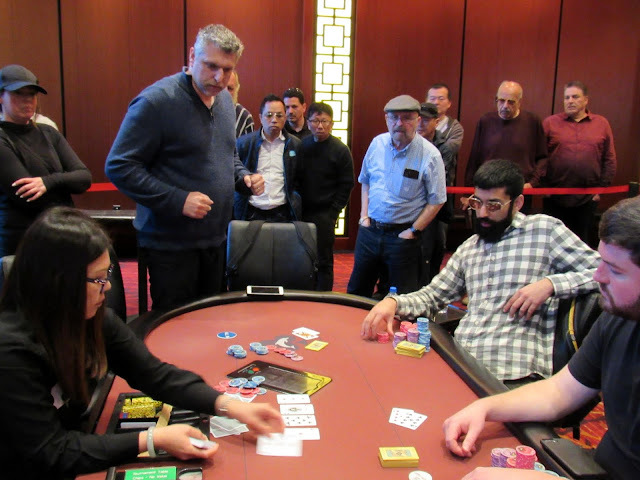 The two remaining players then reveal their cards. 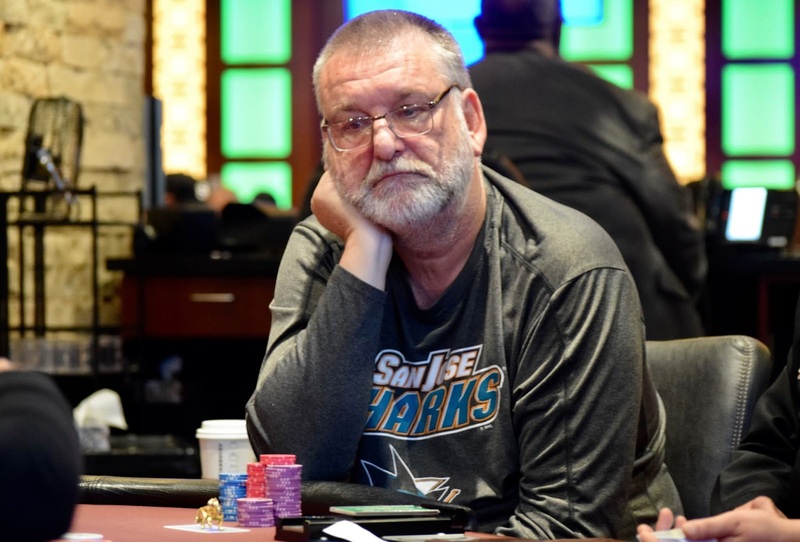 Sabat is eliminated on the hand in 27th place, good for $13,865, and Carroll stacks up 1,205,000 after collecting the pot. 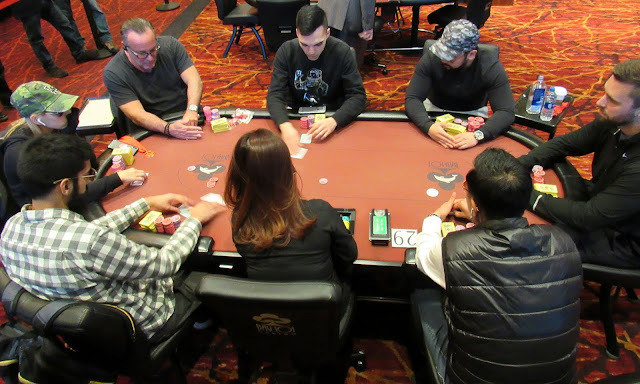 Cards are in the air on Day 3 at the Bay 101 Shooting Star Main Event. Levels will be 90 minutes in length today as the field plays down to a final table of six. Shuffle up and deal!